But a tiny spark can set a great forest on fire. And the tongue is a flame of fire. How we treat others with our words has been on my mind… a lot lately. As many of you know, my profession by day is in corporate public relations. One of the many changes in my profession in the last five years has been the emergence and importance of social media as a communications tool. A particular drawback of social media happens to also be one of its positives… and that is, it allows anyone a voice. Not just any voice, but an unguarded, unfiltered voice from the safe distance and shield made possible behind a smart phone or keyboard. You see, social media has allowed people to say things and have access to a mass audience they have never had before – both deserved and undeserved. I know this because my days are now spent with an inordinate amount of time devoted to educating, clarifying, and correcting those on social media who, well, quite frankly, make up stuff, share something completely false from someone else without research, or add to a comment thread without adding value. I would go so far as to say social media has brought with it a wave of inflation – so much that everyone’s two cents is now, to them anyway, worth so much more. Why the rant? I am both shocked and flabbergasted at the insensitive, untrue, rude, and cruel things said on social media platforms – specifically within groups on Facebook (particularly neighborhood/city groups). While the intention behind such neighborhood or community groups may have been somewhat pure at inception, the results over time on many of them have given a voice to sarcasm, anger, and ugliness. I’ll confess this: my tongue is as sharp and wild as anyone else’s. While I use it to communicate in my PR job and make disciples in all aspects of my life, I also find myself falling into the temptation of letting my thoughts have a verbal outlet, and not always when appropriate. I’m as guilty as anyone else on those Facebook groups when I say the things I think for the simple fact that I don’t always tame my tongue (though it’s important to note one distinct difference: I choose not to publicly post for the world to know how I feel about any and every thing – and that is simply an exercise in self-control, and not falling victim to public venting). Our tongue is a fantastic ally to the devil because it creates dissent, opposition, and contention. No wonder it is referred to as a flame of fire in James 3:6. Like James tells us, if a spark can set a forest fire, just imagine what a continuous blazing tongue can do. 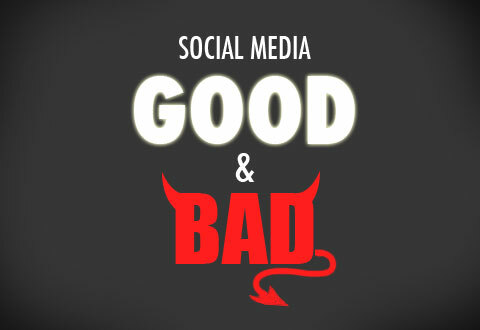 “Social media napalm” is what I call it… It’s a shame social platforms are often used to hurt others. We all need to be more aware of how much our fiery tongues can quickly go out of control from bonfire to dumpster fire to wildfire. Be careful! Don’t get burned! In June of 2015, I was the Commencement Speaker for Nossi College of Art in Nashville, TN. As is the process of writing a speech, some good material was cut out due to time restrictions and relevance. I recently came across a few of the cuts and thought it would be worth reviving, sharing with anyone who it may help. 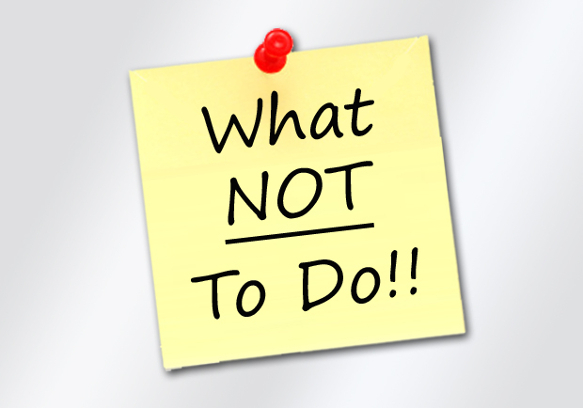 In no particular order of importance, I want to share five one-liners of what I like to call “what-not-to-dos.” And I know exactly what not to do because I am guilty of some, if not all. Throughout your life, you’ll likely find yourself at a crossroads with these life situations. As you read them, think about how they apply in all aspects of your life – from your faith to your function. Don’t be your own worst enemy because you over-complicate things. Just keep it simple. Everything you do can be simplified. Don’t let the noise of this world distract you from your calling. Concentrate on your passions. Make it happen. Don’t drift from your passions because you lose hope. Persistence can be a most-positive virtue. Be persistent about your passions. Everyone reading this has potential. That potential starts with a passion. Don’t lose your ability to believe in yourself and your dreams. If you dream it, you can achieve it. If there is a hurdle, jump over it. If there is a roadblock, there is always a detour. Don’t get comfortable with your situation or place in life. Comfort is both fleeting and defeating. Discomfort is what will drive you to greatness. Has one of these resonated with you? If so, let me know and I will expand on it with a future blog post: treycampbell1010@gmail.com.